Climate change could see drier, hotter summers in England over the next few decades. The UK Climate Projections 2018 from the Met Office found that, under the highest emissions scenario, summer temperatures could be 5.4C hotter by 2070. And the chances of a summer as warm as the 2018 heatwave are around 50% by 2050. These warmer summers of the future are likely to be much drier too, with average summer rainfall dropping by 47% by 2070. All this means water companies need to devise new strategies to conserve supplies. Most are taking a two-pronged approach – investing in efforts to cut leaks, and working to help customers reduce their use. Here are four different approaches being taken to persuade people to use less water. 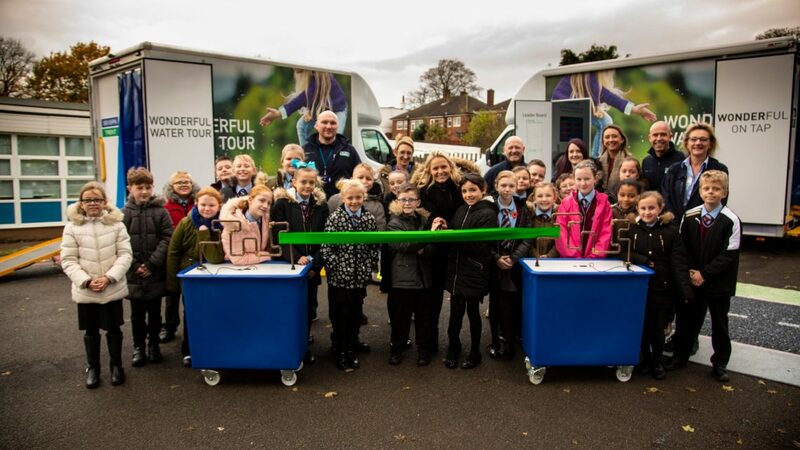 Severn Trent has launched its ‘Wonderful Water Tour’, an innovative roadshow designed to inspire and educate children across the Midlands. Liv Garfield, Chief Executive at Severn Trent, said the tour will “help develop a generation that takes water efficiency and sewer savviness to their hearts”. The South East of England only gets the same rainfall as Melbourne. Now customers of SES Water can discover how to use less water – and save money on their bills – through an interactive web page and smartphone app. Feed in details about your home and it will offer personalised ways to reduce consumption. In December 2018 Southern Water launched its #Target100 campaign in the House of Commons. This is the company’s long-term plan to cut daily use to 100 litres per person by 2040, and to 120 litres by 2025 (from around 129 litres today). Methods being used include the roll-out of more smart meters, water saving advice and more efficient homes. Residents who sign up for Anglian Water’s Greenredeem scheme can earn rewards by saving water. As one customer said, Anglian’s Love Every Drop campaign has “made us really aware of how much water we use” – as well as earned them discount vouchers at a local café.